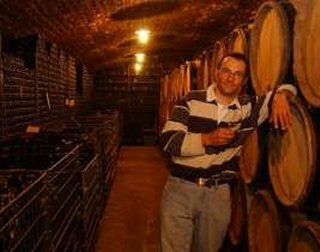 Vincent Bouzereau | Fine Wine Merchant and Importer of Domaine bottled Burgundies. Vincent has an enviable list of vineyard holdings centred in Meursault and having recently finished extensive building and renovation works at the family home he has brought all this winemaking operations to one place. Purity and refined handling of the grapes is his hallmark.